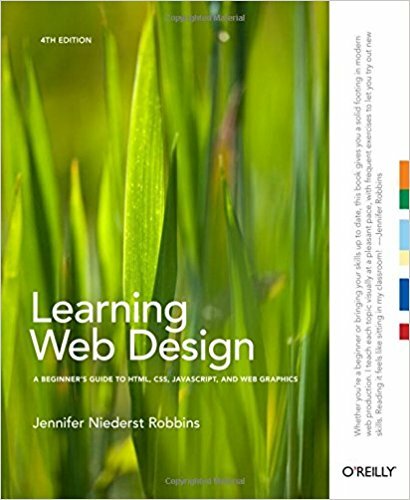 Web Design Books offer a great way of learning and at a much lower price than taking, for example, a specialist Web Design course. By reading a well written and highly informative Web Design Book, you consume a huge amount of research and best practices in a relatively short amount of time, and it is one of the best ways to improve your Web Design skills. The only problem is that there are a lot of Web Design Books on the market and there are much more to come. For instance, just doing a search for Web Design Books in Amazon results in more than 30,366 books about Web Design, so how do you make up your mind about what to read of what the Best Web Design Books are? You can do a google search and search for the Best Web Design Books, but then you get hundreds of “Best of Lists” in front of you, so that doesn’t help a lot either unless you want to spend a full day going through all those lists. Well, that is exactly what we did! We searched for 50 “Best of Lists” highlighting the most recommendable Web Design Books, selected and combined the 20 most valuable “Best of Lists” and earmarked and ranked what Web Design Books keep up appearing on most of those recently published lists. From a total of 179 Web Design Books reviewed and ranked, here are the Top 20 of Best Web Design Books! As we are a small business ourselves, we use this list as well for educating and inspiring our minds and for optimizing our Consultants 500 platform. And in case you didn’t know yet, on our platform you can search for many types of Web Designers all over the world. Finally, if you are a Web Designer yourself working as a Freelancer, Consultant or Company, you can always register for free if you want, it’s all up to you. See here how it works. 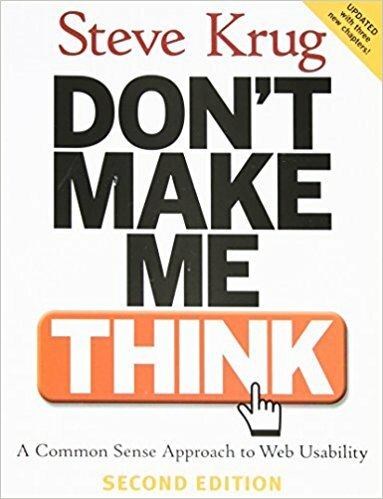 Don’t Make Me Think: A Common Sense Approach to Web Usability – Steve Krug – Listed 14 out of 20 times and this is by far the most recommended Web Design Book. Steve Krug is a usability consultant who has more than 15 years of experience as a user advocate for companies like Apple, Netscape, AOL, Lexus, and others. Based in part on the success of the first edition of Don’t Make Me Think, he has become a highly sought-after speaker on usability design. 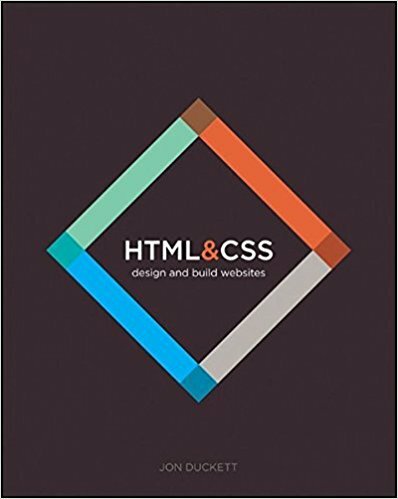 HTML and CSS: Design and Build Websites – Jon Duckett – Listed 10 out of 20 times and this one certainly belongs to one of the Best Web Design Books. John Duckett has been designing and building websites for more than a decade. He has worked with small startups and global brands and has written more than a dozen books on web design, programming, usability, and accessibility. He has curated conferences about web programming and has been a web strategy consultant, often coding front ends for projects and designing architectures for back-end programming. 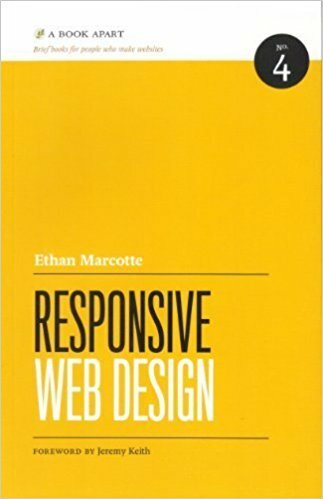 Responsive Web Design (Brief Books for People Who Make Websites) – Ethan Marcotte – Listed 6 out of 20 times. Published by one of the top authorities on Web Design. Ethan Marcotte is an independent designer and author, based in Boston, Massachusetts. He coined the term “responsive web design” to describe a new way of designing for the ever-changing web, and is the author of the definitive book on the topic: Responsive Web Design. His design, speaking, and writing has helped designers and organizations use the web’s flexibility to design across mobile, tablet, and desktop—and whatever might come next. Design Is a Job – Mike Monteiro – Listed 6 out of 20 times. Mike Monteiro is the co-founder and design director of Mule Design, an interactive design studio whose work has been called “delightfully hostile” by The New Yorker. In early 2011, he gave a Creative Mornings talk entitled “F— You, Pay Me” that not only uplifted the downtrodden the world over but fueled his first book, Design Is a Job. In 2014, Mike won the net awards Talk of the Year for “How Designers Destroyed the World,” a screed about designers taking responsibility for their work. Steal like an Artist: 10 Things Nobody Told You about Being Creative – Austin Kleon – Listed 3 out of 20 times. Austin Kleon is a writer and artist living in Austin, Texas. He’s the author of two bestselling books: Steal Like an Artist, a manifesto for creativity in the digital age, and Newspaper Blackout, a collection of poetry made by redacting newspaper articles with a permanent marker. He speaks about creativity for organizations such as Pixar, Google, SXSW, TEDx, and The Economist. He is the author of the New York TimesbestsellersSteal Like an ArtistandShow Your Work! His work has been featured on NPR’s Morning Edition, PBS Newshour, and in the New York Times and Wall Street Journal. He also speaks frequently about creativity in the digital age for such organizations as Pixar, Google, SXSW, TEDx, and The Economist. Hooked: How to Build Habit-Forming Products – Nir Eyal – Listed 3 out of 20 times. Nir Eyal spent years in the video gaming and advertising industries where he learned, applied, and at times rejected, techniques described in Hooked to motivate and influence users. He has taught courses on applied consumer psychology at the Stanford Graduate School of Business, the Hasso Plattner Institute of Design, and is a frequent speaker at industry conferences and at Fortune 500 companies. His writing on technology, psychology, and business appears in the Harvard Business Review, The Atlantic, TechCrunch, and Psychology Today. Designing with Web Standards – Jeffrey Zeldman – Listed 3 out of 20 times. Versatile user experience designer/developer Ethan Marcotte served as a steering committee member of The Web Standards Project and has worked with clients including New York Magazine, Harvard University, and the World Wide Web Consortium (W3C). 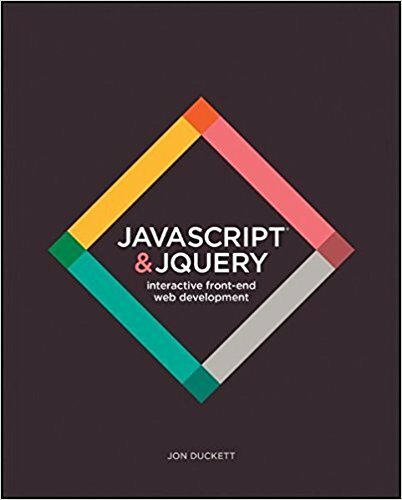 Books to which he has contributed include Handcrafted CSS, Web Standards Creativity, and Professional CSS. Ethan writes and does technical editing at A List Apart, and is a popular educator and conference speaker. Above the Fold – Brian D Miller – Listed 3 out of 20 times. Brian Miller is an award-winning designer and lecturer who specializes in branding for the Web and print. In addition to managing the Brian Miller Design Group, he teaches design at the ShintaroAkatsu School of Design and is a member of the board of directors for the Type Directors Club. Brian has an MPs in design management from Pratt Institute and a BFA in graphic design from the Hartford Art School. He also studied design at the Newport School of Art and Design in Wales. Design for Hackers: Reverse Engineering Beauty – David Kadavy – Listed 4 out of 20 times. David Kadavy (@kadavy) is a bestselling author, blogger, podcaster, and speaker. Through his blogging at kadavy.net and his podcast, Love Your Work, he helps people find satisfaction through following their crafts, even if it takes them down unconventional paths. David’s writing has appeared in Quartz, Observer, Inc.com, The Huffington Post, McSweeny’s Internet Tendency, and Upworthy. He has spoken in eight countries, including appearances at SXSW at TEDx. He lives in Medellín, Colombia. The Non-Designer’s Design Book – Robin Williams – Listed 3 out of 20 times. Robin Williams is the author or co-author of more than 20 best-selling and award-winning books, including Robin Williams Design Workshop, The Mac is not a typewriter, The Non-Designer’s Type Book, and Robin Williams Mac OS X Book. Through her writing, teaching, and seminars, Robin has influenced an entire generation of computer users in the areas of design, typography, desktop publishing, the Mac, and the World Wide Web. Choose Yourself – James Altucher – Listed 3 out of 20 times. James Altucher is a successful entrepreneur, chess master, investor, and writer. He has started and run more than 20 companies and sold several of those businesses for large exits. He has also run venture capital funds, hedge funds, angel funds, and currently sits on the boards of several companies. His writing has appeared in most major national media outlets (Wall Street Journal, ABC, Financial Times, Tech Crunch, Forbes, CNBC, etc). His blog has attracted more than 10 million readers since its launch in 2010. This is his 11th book. –This text refers to an out of print or unavailable edition of this title. Neuro Web Design: What Makes Them Click? – Susan Weinschenk – Listed 3 out of 20 times. Dr. Susan Weinschenk has been an industry leader in the field of user experience and usability for over 25 years. She has a Ph.D. in Psychology and is Chief of Technical staff at Human Factors International where she manages user experience consulting and training services for Fortune 1000 companies. The Elements of Typographic Style – Robert Bringhurst – Listed 4 out of 20 times. Robert Bringhurst is one of North America’s most highly regarded typographers and book designers, as well as one of Canada’s finest poets. He has taught literature, art, history and typographic history at several universities and held major fellowships from the Canada Council for the Arts, the Social Sciences and Humanities Research Council of Canada, and the Guggenheim Foundation. .100 Things Every Designer Needs To Know About People – Susan Weinschenk – Listed 4 out of 20 times. Susan has a Ph.D.in Psychology and over 30 years of experience as a behavioral scientist. She speaks, consults, teaches and writes about applying behavioral science to design, technology, and business. Susan started college at Virginia Tech and finished her undergraduate degree in Psychology at Northeastern. She then earned a Master’s and Ph.D. at Pennsylvania State University. Susan is the CEO of The Team W, Inc., and an Adjunct Professor at the University of Wisconsin. She lives in Wisconsin in the USA. When not teaching, speaking, writing, or blogging, Susan reads books, watches movies, and sings in a jazz band. Universal Principles of Design – William Lidwell, Kritina Holden and Jill Butler – Listed 5 out of 20 times. William Lidwell is a partner and chief research and development officer at the Applied Management Sciences Institute. Kritina Holden is a lead usability engineer at BMC Software. Jill Butler is the founder and president of Stuff Creators Design Studio. The authors live in Houston, Texas. The Elements of Content Strategy – Erin Kissane – Listed 3 out of 20 times. I’m a content strategist, editor, and writer. I help people plan for, design, make, publish, and maintain really good content online. I live in NYC and work for Brain Traffic, a fantastic content strategy consultancy in Minneapolis. Before joining Brain Traffic, I was an indie content specialist, the editorial director of Happy Cog Studios, and a freelance writer and editor. My new book, The Elements of Content Strategy, was published in March of 2011 by A Book Apart. You can read an excerpt at A List Apart magazine, or buy it directly from the publisher in a beautiful paperback edition, as a set of DRM-free eBook files, or both. CSS: The Missing Manual – David Sawyer McFarland – Listed 3 out of 20 times. David Sawyer McFarland is president of Sawyer McFarland Media, Inc., a Web development company in Portland, Oregon. He’s been building Web sites since 1995 when he designed his first Web site: an online magazine for communication professionals. He’s served as the Webmaster at the University of California at Berkeley and the Berkeley Multimedia Research Center, and he has helped build, design, and program numerous Web sites for clients including Intuit, Macworld.com, and Playlistmag.com, among others. Besides reading and studying books about Web Design, there are other great ways to learn or increase your Web Design skills. Latest Sector News for Web Design – Our Web Development Briefing Room follows the top Web Design & Development resources on the web, which includes the top 5 Web Design Blogs listed above and the best sources as suggested by our users and visitors. Only the most shared content is shown, and you can filter all the content for the last 24 hours, 3 days, 1 week, 1 month, 3 months, etc. so you can easily find and stay up to date with the latest Web Design & Development News. We made a list of 50 posts that were recently published about “Best Web Design Books” to read. From this list of 50 posts, we selected the top 20 that seem most valuable to our readers and users. 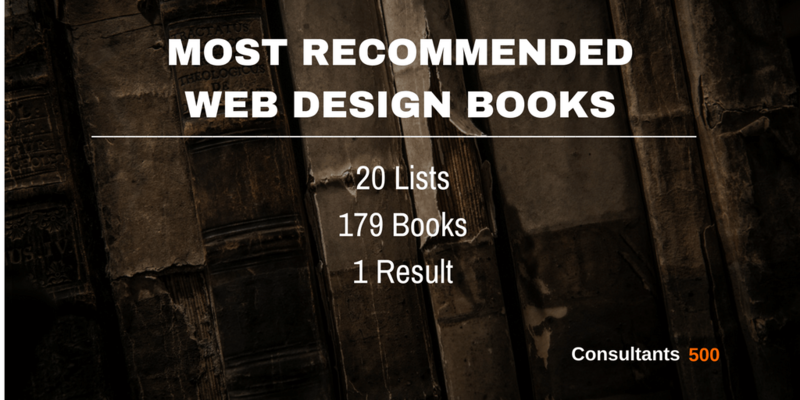 We combined the 20 lists about “Best Web Design Books” and earmarked all individual books that were on those lists. When a book was ranked as number 1, it got 1 point, and when it was ranked 2nd, it got 2 points, etc. When no particular ranking was applied to a certain list, then each listed book got the same points. To be included in the final list a book should be listed for a minimal number of times. More weight was assigned to books which were explicitly listed more times than other books. All lists were summed up, and the Web Design Book with the lowest number was ranked 1, 2, 3, etc. This resulted in the final “Top 20 of Web Design Books Recommended Most Times” that have been recommended by many Web Design experts. What are the best books on web design?